New Jersey is an “at will” employment state. Simply stated, this means that employees have the right to resign from a job for any reason and employers have the right to terminate employees for any reason, provided those reasons do not violate rights protected under State or federal law. This being said, incidents of wrongful termination may occur under certain circumstances. For instance, a termination because of race, creed, gender, disability or other discriminatory reason would be considered “wrongful.” Other examples of wrongful termination include breach of contract or implied contract, defamation of character or “constructive discharge,” meaning an employer allowed changes to working conditions that could cause a reasonable person to resign. Employees that believe they were wrongfully terminated have two recourses: they can file a claim through the appropriate State agency or file a private lawsuit. The remedies that can be pursued vary according to State laws, the specific violation and the degree of that violation. The remedies include, but are not limited to, punitive damages, lost wages, compensatory damages, reinstatement of position and benefits, court costs and attorney’s fees. Employers found to be guilty of a wrongful termination are subject to penalties under federal law. Additionally, some states, including New Jersey, impose penalties not covered by federal law. In New Jersey terminations that result from jury duty, whistleblower activities or garnishment of wages are considered wrongful and carry additional penalties that range from fines to jail time. Because New Jersey is an “at will” employment state, you may need to utilize the services of an experienced attorney. If you believe you have been wrongfully terminated, contact Rotolo Karch Law for advice. Protect your rights. Call Rotolo Karch Law today. 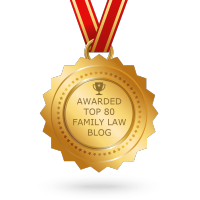 The Rotolo Law Firm's Family Law Blog first selected to the "Top Family Law Blogs" list by Feedspot.com on 3/14/2017. The absolute BEST!!! I have a family of attorneys but needed someone local. Victor was recommended to me and words cannot describe how pleased I was with his firm. The outstanding service and attention each member of his staff gave to me surpassed any and all expectations. Victor surrounds himself with a hardworking team that he leads. I felt it was money spent wisely. I will continue to recommend Victor and his associates. 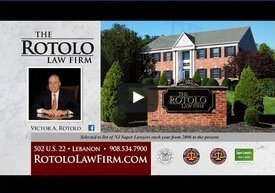 Mr. Rotolo has helped me numerous times in legal matters and has continued to support and help me through countless hardships. He is dedicated to providing the best service and is a true professional. I will continue to consult with him regarding any legal issues in the future. He is a respectable, hardworking, kind hearted man and I would recommend his legal services to anyone. I am an attorney and have practiced law for 26 years. I hired Vic to handle a very difficult family matter because I do not handle family law. Vic was extremely competent and obtained a result far beyond my expectations. Without his counsel my son's and family's life would have been changed forever. Thank you Vic for your good lawyering. I very much appreciate the personal attention and time dedicated to this matter. I highly recommend Vic. We recently had a situation where we needed to hire an attorney. We selected Rotolo Law Firm and I can honestly say that we were above and beyond satisfied with Vic and his team. We would absolutely recommend this firm to anyone should the need arise. We blindly picked the firm out of the phone book because I liked his ad. Now I believe that God was pointing us in the right direction. Thank you Vic and the Rotolo Law Firm for being there for us in our time of need. Victor's expertise, due diligence, and empathy for his client made my first experience with the law (and last) a non-stressful one. Before the case, I did my research and looked over about 20 lawyers before choosing Victor. All my sources pointed to him as the best and they weren't off even a bit. Victor treated my case like it was his own and kept me up to date with all my appointments, breakthroughs in the case, and guided me step through step in a process that I never thought that I had to come to endure. If Victor's not available Susy will go out of her way to take care you. The productivity and efficiency in that office is second to none. Thank you Victor! We serve the following localities: Hunterdon County including Annandale, Califon, Clinton, Glen Gardner, Hampton, High Bridge, Flemington, Lebanon, Oldwick, Tewksbury, and Whitehouse Station; Morris County including Florham Park, Long Valley, Madison, Morristown, and Randolph; Somerset County including Bridgewater, Peapack-Gladstone, Raritan, Somerset, Somerville, and Basking Ridge; and Warren County including Washington, Belvidere, Phillipsburg, Stewartsville, and Hackettstown.